Get the insight you need into key call quality metrics, including network jitter, latency, packet loss, and MOS. 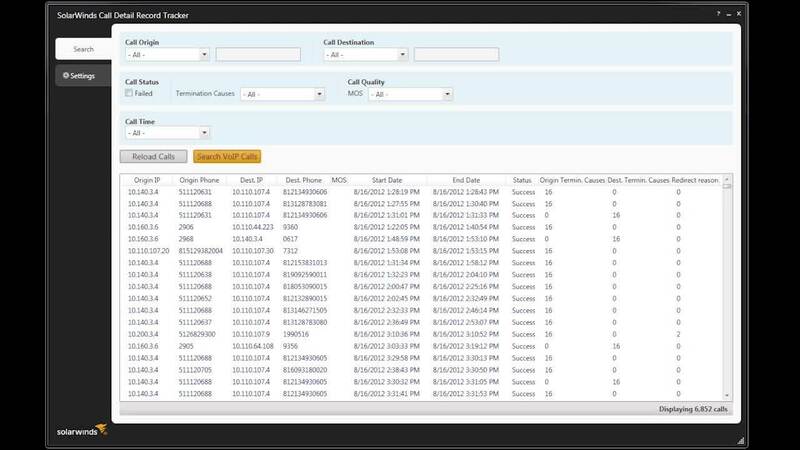 Sort and filter CDRs based on call time, call status, termination reason, phone number, phone IP, and more. Start tracking your call details now. Need full featured call quality and WAN performance monitoring?